Derale Transmission Cooler - 9000 Series UNIVERSAL - Dezod Motorsports Inc - Home of the automotive performance enthusiast since 2002. 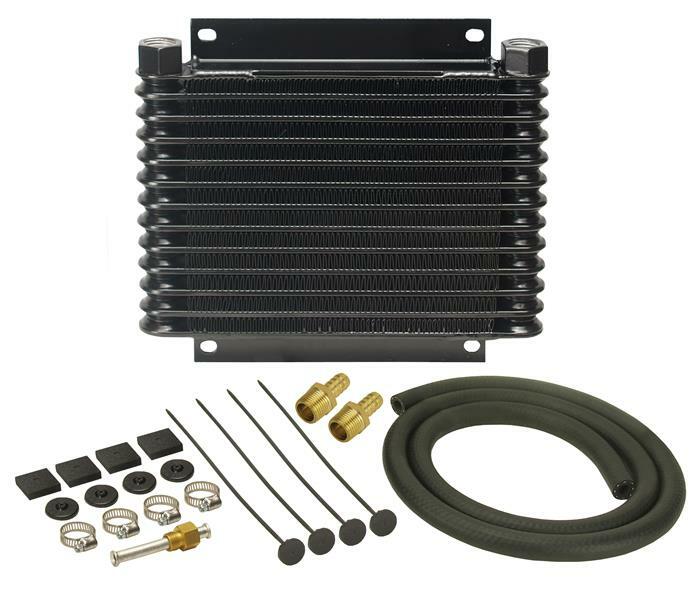 Very popular with original equipment manufacturers for use on their towing applications, our Plate and Fin coolers is no exception, featuring strong furnace-brazed construction, 1 1/4” wide plates and embossed turbulators which maximize heat transfer while also minimizing pressure drop. This unit is perfect for light to medium duty use and occasional towing. It greatly extends transmission life by preventing heat-related transmission failures, and improve shifting performance.